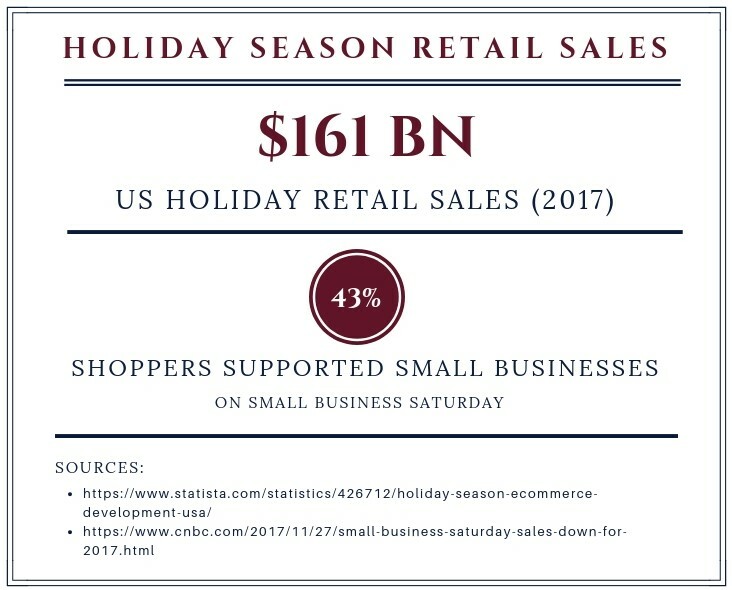 Last year’s holiday season retail sales in the US alone topped $161 billion and 43% shoppers supported small businesses on Small Business Saturday. With the holiday season coming up, now is the time to plan out a company strategy to ensure you have backup staff handling essential business activities at all times. You don’t have to dread the holiday season when your employees go on leave, when the company’s manpower is down and productivity seems to nosedive. Simply follow our tips that we’ve practiced and improved upon through trial and error over 8 years of operations and you will be well prepared. 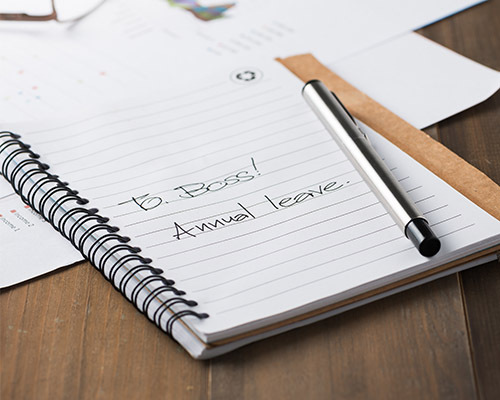 You can easily handle holiday leave while maintaining a healthy culture and employer brand. With unlimited users, shift swapping, forecasting and QuickBooks integration, Deputy is a mobile platform that can cut your time spent scheduling considerably. It is perfect for small to medium businesses employing shift workers. Offering templates and shortcuts with its mobile and desktop adaptive platform, When I Work is also integrated with some POS and Payroll systems and has a very intuitive user interface (UI). It allows you to schedule work keeping in mind employee contracts and working time directives. You can also set up an optimal schedule matching the best employee to the most appropriate task and set up a staffing schedule taking expected sales into account. Their online time and attendance management software allows for scheduling based on employee availability and job skills. You can even set up recurring schedules. All these are accessible from all devices 24/7. These smarter schedules will ensure you are never understaffed, even for the holiday season. Make sure you communicate your holiday leave policy and vacation policy to your employees as soon as they are hired. Is it first come first served? Are there any vacation blackout periods when no vacation requests would be entertained due to an expected rise in traffic or a special project? Will you be encouraging them to take their vacation in the slower periods? Communicating all this in advance will be fairer and more acceptable to your employees. Make sure any vacations are granted judiciously—with employees fully cognizant of the decision-making criteria—after due deliberation and without any favoritism. Set a deadline by which employees can request holiday leave. Depending on your needs, this can be anywhere from a few days to several weeks before the staff wants to use leave time. This deadline should be far enough in advance for you to ensure that it does not affect a project’s productivity or deadline and you are not understaffed. Also cap the number of employees of each specialization who can take off at the same time. Get a detailed breakdown of projects they are currently working on, tasks to be performed, access details for pertinent files and accounts, deadlines for current projects, important contact information, and any other information needed by the employees covering the vacationers’ jobs. Create a checklist of these that each vacationing employee can tally against before leaving. Then make sure that someone is covering for the missing employee. Sometimes, that requires handing off tasks and projects to a few different people in the office instead of asking one person to do the work of two. Crosstrain employees in preparation for the upcoming holiday season, ensuring that the backup employee is fully conversant with the appropriate project training manual. Trade-off between your employees. Some employees may have important commitments at other times of the year that they can take time off for and then work during the holiday season. Allow employees with similar job descriptions to trade off their vacations with each other, one picking up the slack when the other is on leave. Stagger your employee vacations so you always have coverage; allow some to work the morning shift, some the afternoon shift, or schedule one set of employees for the first few days of the week and the other for the rest of the weekdays during the holiday season. Give cash bonuses, extra paid leaves redeemable after the holiday season, and other incentives for those willing to work during the most popular vacation periods. This will ensure that you have a productive skeleton staff even during the heart of the holiday season. It will also boost the morale of those who have to work over the holidays when the other employees are on leave and enjoying themselves. In some cases, you can even hire a temporary virtual assistant to pick up the slack in an employee’s absence. Especially in the retail industry, business booms in the holiday season and having employees on holiday leave can cause a stress on operations. Hire a qualified virtual assistant to take care of ecommerce sales, provide administrative and operational support, or even act as a virtual receptionist service during the holidays. You can even hire a temporary call center operator or a customer service center to handle customer service, field incoming calls, generate leads, and make telemarketing calls to take advantage of the boost in sales in the holiday season. Having part-time staff as backup all year round is always a sound decision, so they can come in if you have any shortages and during the holiday season when most employees are on leave. What if the manager is the one going on leave? We suggest that you let your employees know far enough in advance so they can prepare. Make the manager’s calendar public so that the staff will know when he or she will be back. Ask the manager to train the second-in-command to pick up the slack. The administrative support staff must also be familiarized with how to handle certain tasks while the manager is out of the office, such as where to direct calls and how to respond to requests. Then, consider having a protocol for an emergency, so employees can determine when to call the manager while he or she is on leave. With these tactics, you can ensure that handling the holiday season won’t be such a hassle. Let us know down below what some best practices are that you have seen or used for handling employee leave during the holiday season.